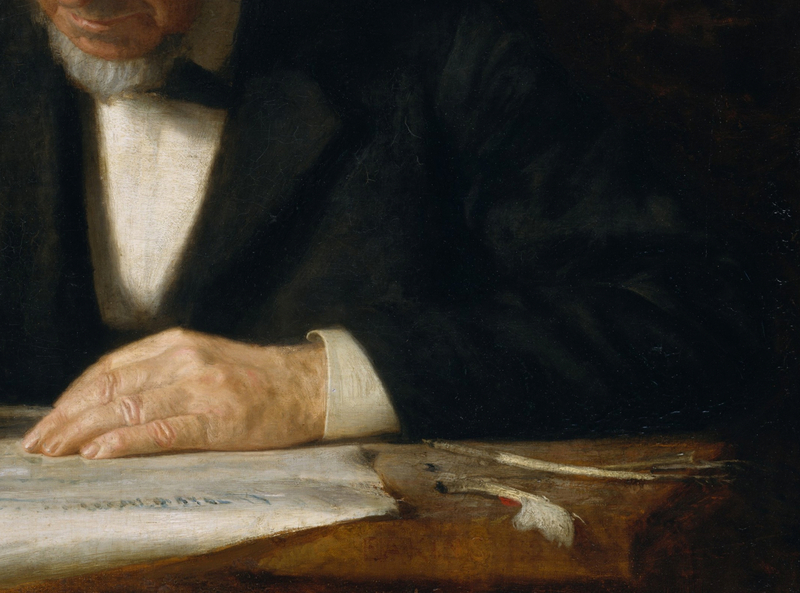 Thomas Eakins' father, Benjamin, was a writing master who earned enough money from calligraphy to support Thomas throughout his son's life. However, to think that this portrait is just a tender portrayal of an elderly father misunderstands the role of an artist. Ordinary painters copy reality as we do when we take family snapshots. Artists (note the different term) do not. They are poets and there is under the illusion of reality a greater meaning pertaining to their own activity as an artist. 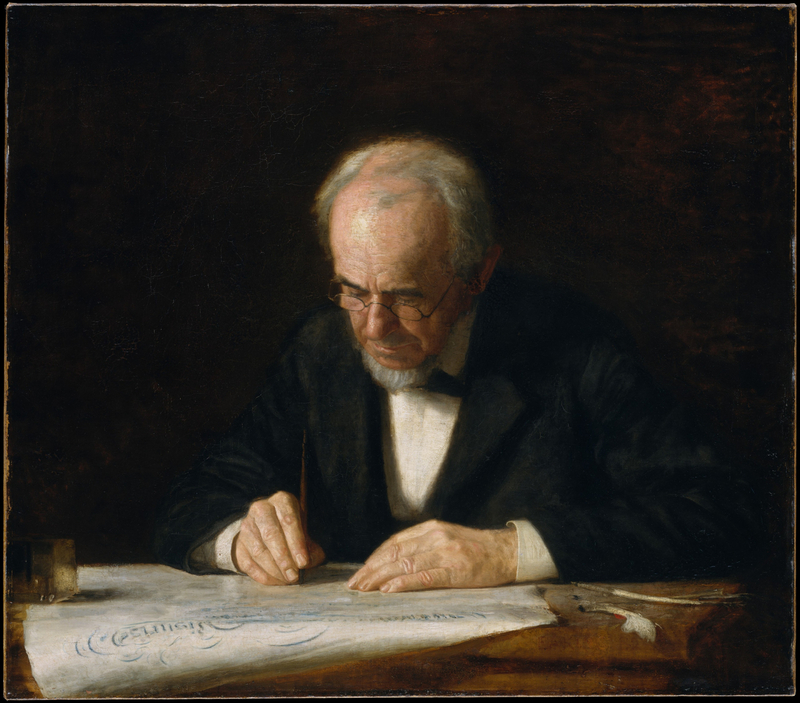 Here Benjamin Eakins, using pen on paper, is an alter ego for his son as poetic draughtsman and painter. Eakins, The Writing Master (1882) Oil on canvas. Metropolitan Museum of Art, New York. Benjamin's pose, intently following the course of his nib, is similar to how an artist draws. 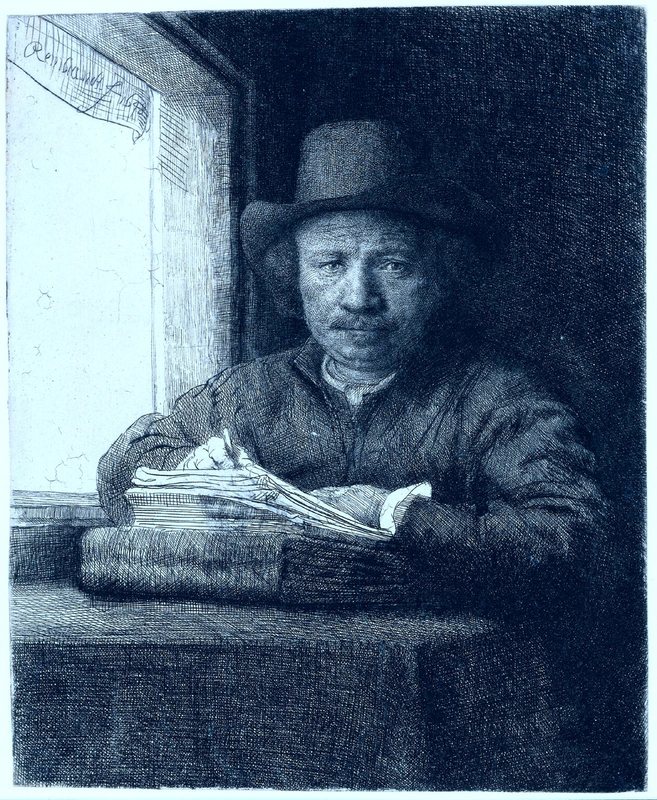 Rembrandt, for example, looks up in his famous self-portrait at a window but the pose of an artist at his desk is comparable. 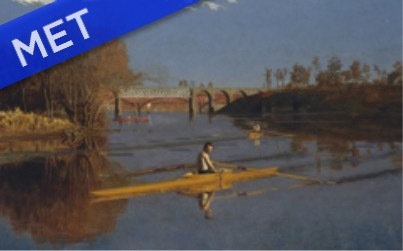 Both Adams and Fried have linked The Writing Master to Eakins' painting of Dr. Gross' Clinic in order to prove that Dr. Gross is an alter ego of the painter holding his scalpel like Benjamin Eakins holds his pen. Both, though, neglect to note in the process that Benjamin must be an alter ego of his son as well which is why the light falls on just three features, the only ones in focus: the bald forehead, the spectacles and the hands. The eye and hand are the two physical features most commonly used in art as icons of the artist, followed closely by the artist's mind or brain as signified by the forehead. Age is often associated with wisdom as it is here. Thus this is not just a portrait of a young artist's elderly father but a poem on the skill and intellect of an artist and of his wisdom too. The whole point of art, few realize, is that it conveys wisdom. 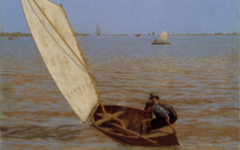 Later in life Eakins considered this painting one of his most important and had hoped that the Metropolitan Museum of Art would have bought it instead of another they preferred.2 After his death they did. Original Publication Date on EPPH: 23 Apr 2012. © Simon Abrahams. Articles on this site are the copyright of Simon Abrahams. To use copyrighted material in print or other media for purposes beyond 'fair use', you must obtain permission from the copyright owner. Websites may link to this page without permission (please do) but may not reproduce the material on their own site without crediting Simon Abrahams and EPPH.